Murky half light. 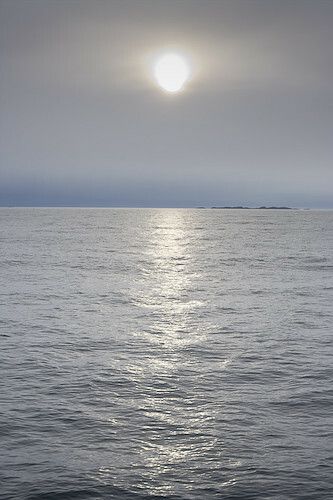 It felt like a kid was playing with our boat using his whole arm, up and down, up and down, over the hills of the sea. I imagined we were in the downy neck of a huge eagle (to avoid associations with sea-related hurling, which worked thankfully); UP – the wings flap down, DOWN – the wings flap up. Valleys and lakes. On board we have many discussions on climate change and what responses might be globally needed to mitigate its dramatic development. We also have more formal lectures, which are a great way to spark debate. Comments Off on What can we do? In a morning briefing the science teams (html to Disko Bay science on CF) sketch out their own ambitions for the trip and plot the place of their own work within global climate science. It’s fair to call understanding climate change the most ambitious and important intellectual project of the last 50 years. For the artists and musicians, but also for those of us that work on the political, social or design side of the climate story this direct experience of science practice is one of the big payoffs on the trip. Carol, Simon, Dave and Emily are working long long days to prepare their kit and get the experiments under way. For us onlookers there’s the satisfaction of getting to the base of the pyramid of evidence that underpins this enormous topic. After breakfast, Simon, Carol and I presented the science background to the voyagers, told them about what we did last year and our plans for this year. Later we heard from Joe, Sunand and Francesca about energy efficiency and reducing the carbon footprint of buildings. This kicked off plenty of discussions and was a really useful exchange information for us all. Ko and Ludvig joined us in the afternoon, and as they did we tried a CTD dip, only to discover that having installed new and supposedly better software, it wasn’t working any more… Soon after that, it materialised that all wasn’t going to plan for Dave and Carol either. Lying in my cosily-lit bunk last night off the coast from Kangerlussuaq, as the sea slowly rolled us around, it felt like being in a giant cradle, rocked by a patient, powerful hand. 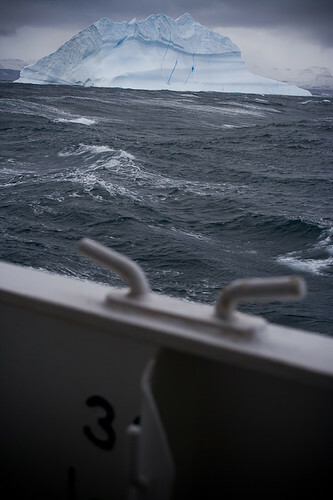 Our ship is a steady big ole affair with dashing (both senses) Russians, crewing like troopers. We’ve been fed a great, great deal of food and not yet had landfall as we’re trying to get to a specific place where the scientists can throw something over the side, but in a productive way. Science is so reassuring. And yet not. And we seem to already be growing fat. We’ve had a day of lectures, visuals and conversations about climate change: the science, the apocalypse and the good news. Gallons of each (actually, bit less of latter) to mull and ponder and shape into something useful. All the while remembering how to be practical in plan and grand in ambition. Tricky. This ship seems full of fast-breeder, original minds and cross-pollination is already in full, filthy congress. A sprawling, ideas-kicking friendly match. A kind of weather condition of thinking. In some ways the more ridiculous the ideas the better they seem, but that could be the lack of sleep. Extreme left-field thinking and trying to keep one’s pecker up in the face of colourfully illustrated catastrophe seems the ticket. Kangerlussuaq means big fjord and the big fjord that runs from the airstrip to the sea is 90 miles long. 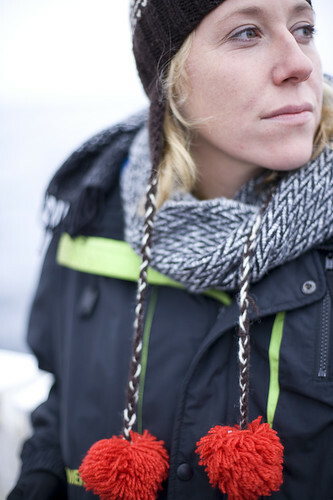 Karen Filskov a native of Greenland joins us here as guide, the first time Cape Farewell has had an Inuit crew member. The Grigoriy Mikheev was built in St Petersburg as a research vessel and now runs trips to the arctic from April to September and the Antarctic from October to February. 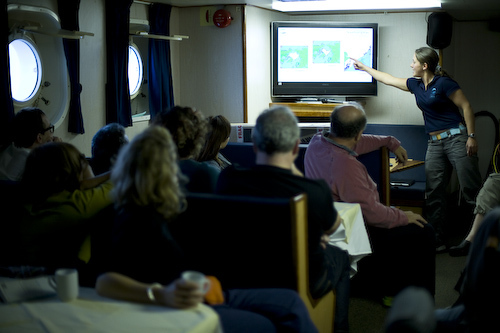 Being designed as a research vessel it is perfect for this expedition as our itinerary is built around the research programme of the four scientists. To read more of Sunand’s post visit his blog on The Architect’s Journal website. 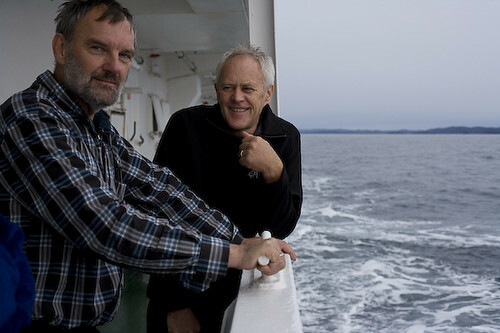 Ko de Korte, our expedition leader from Oceanwide Expeditions, and Cape Farewell director David Buckland. 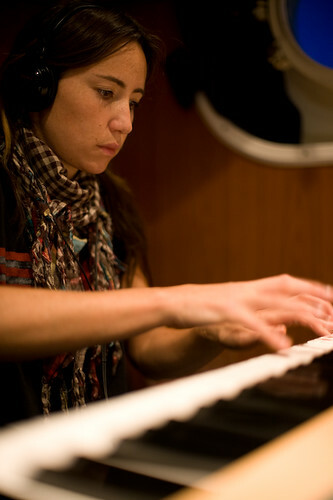 Communicating to the rest of the world via KT Tunstall.